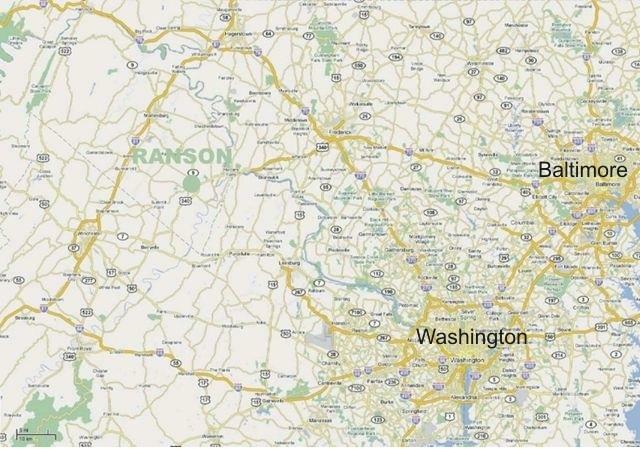 RansonGreen, LLC has thoughtfully planned a new city that will create, set and achieve a new standard for sustainable communities in the United States and the world leveraging innovative technologies, a superior location, focused resources, new wave economic trends and proven green technologies. RansonGreen LLC will deliver a comprehensive approach to sustainability that effectively blends economic with environmental sustainability. It has been the desire of the Ranson Green team to find methods that can manufacture hydrogen from the resources of wind, solar, micro-biology, trash recycling and aluminum to power the city and the vehicles that belong to residents of Ranson Green. The difficulty in harnessing these technologies has been to find systems that can safely produce and store the hydrogen for release when other sources of power run out. Verde ’s hybrid Renewable Power Generation System (the “Verde” system) is the first system worldwide that is capable to fully adapt intermittent renewable power during hydrogen production process. With a completely innovative internal design, Verde system can adjust the hydrogen production by a SMART Controller to directly utilize 100% intermittent electricity. This system is suited perfectly for integration with the fluctuating voltages of intermittent power generating equipment, like wind turbines/solar panels. This technology leads to a greater energy efficiency and lower capital cost simultaneously, which no other products in the market can realize. Now, RansonGreen project wants to use Verde system to efficiently transfer wind/solar power into hydrogen, and then use Hydrogen Fuel Cells/Internal Combustion Engines to produce electricity/heat when necessary. 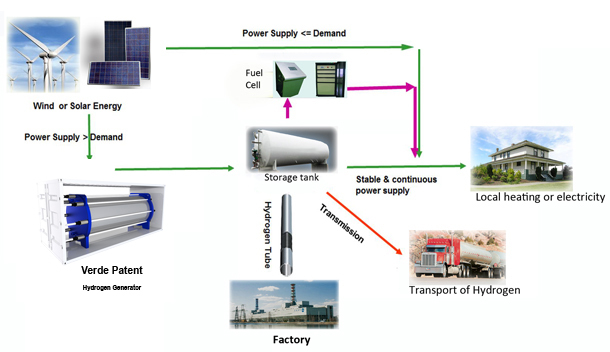 In addition, the Hydrogen can be sold to industrial/residential users, and create a profit for the owner. RansonGreen Community is a showcase for new environmental technologies. With the technology from Verde LLC, we believe this city will serve as a model of how to effectively reverse the effects of carbon emissions and the resulting effects known as “Climate Change”, put a cap and control on energy costs, reduce the dependence of fossil fuels, conserve natural resources, and recover renewable materials in our homes and businesses. We believe that it is possible to do all these things without sacrificing many of the creature comforts that we have grown accustomed to in our lives.